For the past 10 days we’ve been based in southwest Utah, near the town of Hurricane. In all honestly, not too much is happening that is not part of our normal routine, but we’ve managed to catch-up with a handful of fellow full-time travelers, some of whom have joined us here on the mesa. We really like this part of the southwest. The area has a good vibe and is quickly grabbing hold of Kelly and me. And, coupled with a need to catch-up on some business travel from a conveniently located airport, I think we will stay here for another month, possibly longer. In the process, we hope to visit Zion National Park at least once and I definitely plan to get in more time riding the world class mountain biking trails littering the area. Dave, if you get the chance, visit Escalante and the surrounding Grand Staircase NM; it’s about 3 hours or so from you. There’s a decent amount of boondocking on BLM roads and the town has a couple RV campgrounds for the occasional hook up, not to mention an electrical hook up available at the Petrified Forest State Park CG. The slots alone are worth the drive but there’s a ton of great hiking and decent eateries in Escalante and nearby Boulder. 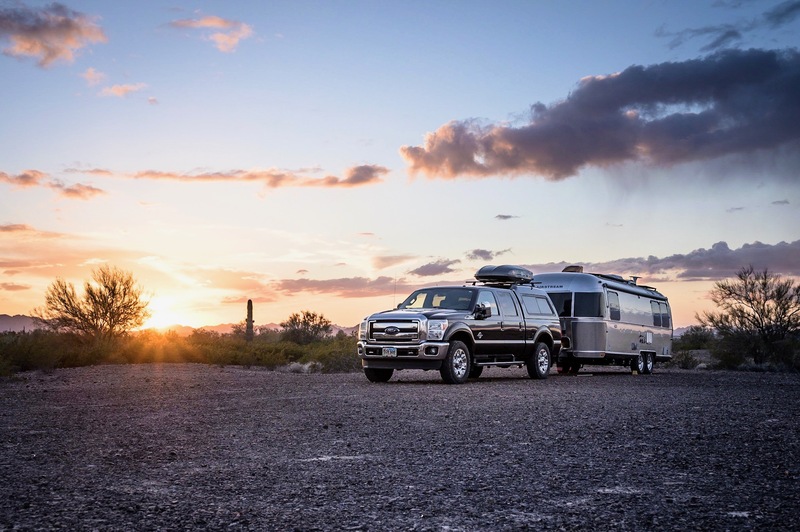 We’re boondocking on a cliffside that overlooks the canyons and Escalante River, and it has a signal; the Watsons of WatsonsWander had a decent signal off their boosted signal – I just have a Jetpak. If you’re interested, shoot me an e-mail for more info. Oh, and btw, while near Hurricane you should eat at the Dixie Pizza Wagon (an actual outdoor stone oven on a cart), across from Dairy Queen, for the best stone-fired pizza around. For Chinese food, go to Hunan City Restaurant in Hurricane. Have fun! Hey Jeff – thanks for the tips. We’re ultimately headed east into CO, by way of Moab. Likely, we will take interstates and miss Escalante … not sure yet. I’ve heard great things about the slot canyons, so definitely something to consider. Great photo of two Airstreams all alone in the desert..